Restored to "15 foot" standard in 2011/2012 (it looks great from 15 feet away but is certainly not concourse). Previous owner writes "My future plan is to sell it to an enthusiast and concentrate on rebuilding my 1971 Saab 95 V4 and my 1960s Saabo caravan." Well at least the first part of the plan is now complete. 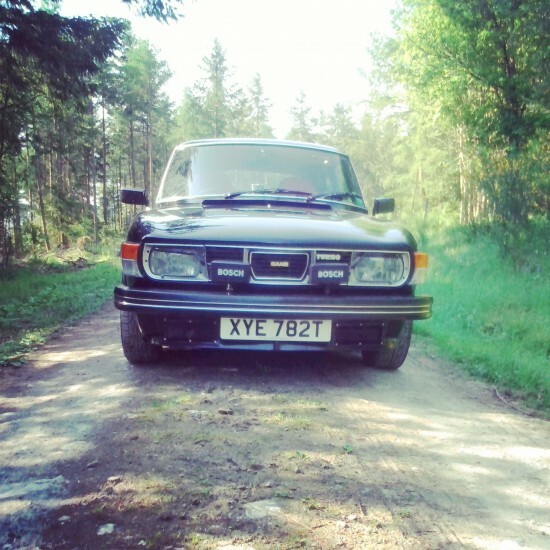 In 2013 made a grand tour of southern Sweden including a trip back to the factory and to the SAAB museum in Trollhättan. Not bad considering that I live in the UK.